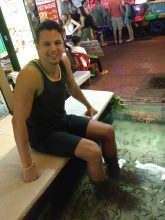 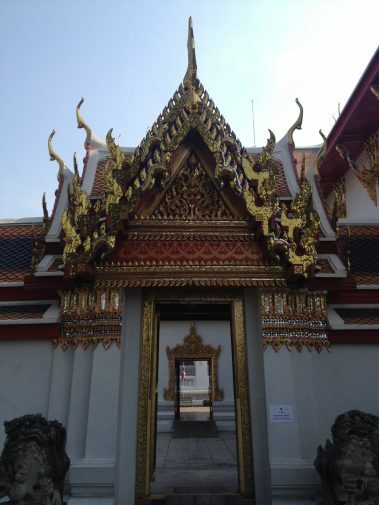 I visited Thailand for the first time in February 2014 and got fascinated by the Buddhist temples and the Thai food. 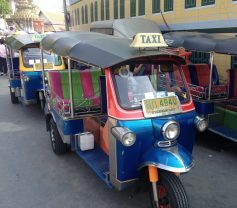 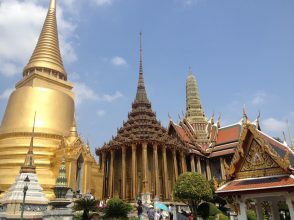 Bangkok is the capital and the most populated city of Thailand with vibrant street life, modern buildings and shopping malls, incommensurable street vendors, breathtaking temples and chaotic traffic. 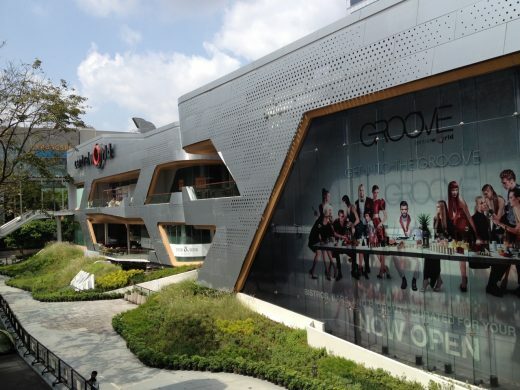 One of the dozens of shopping malls in the city center. 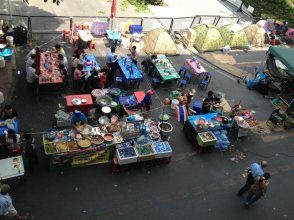 Thousands of street vendors are spread out all over Bangkok. 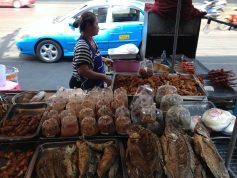 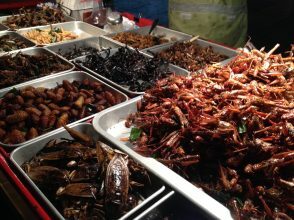 Exotic food at Khao San Road. 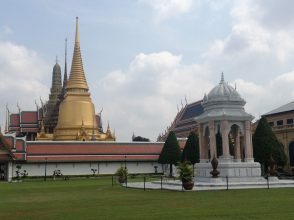 Grand Palace and the Emerald Buddha: the main attraction in Bangkok and house of the King and the sacred and venerated emerald Buddha. 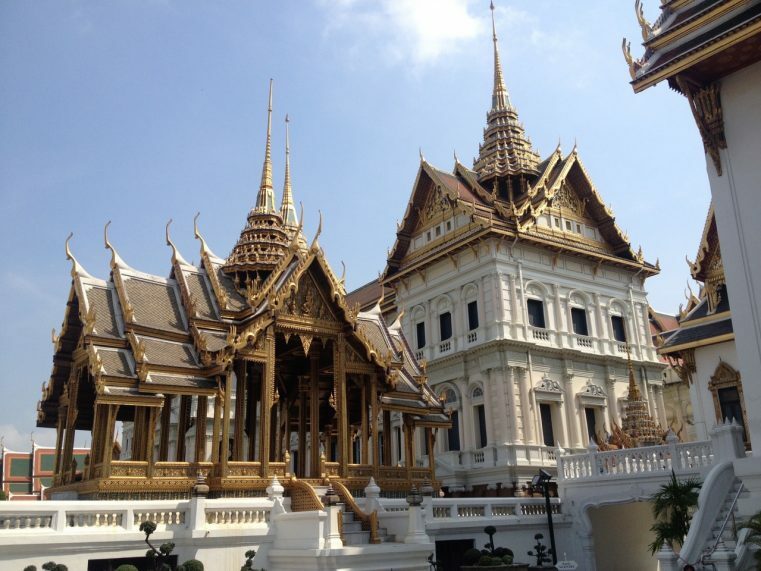 This opulent building complex contains museums, the Thai War Ministry and State departments, and also displays the handcraft and stunning Thai architecture. 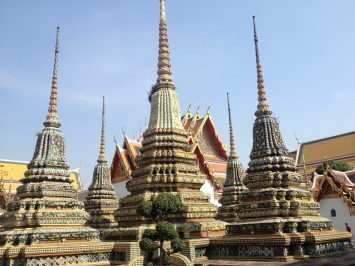 The majestic Grand Palace, Bangkok, Thailand. 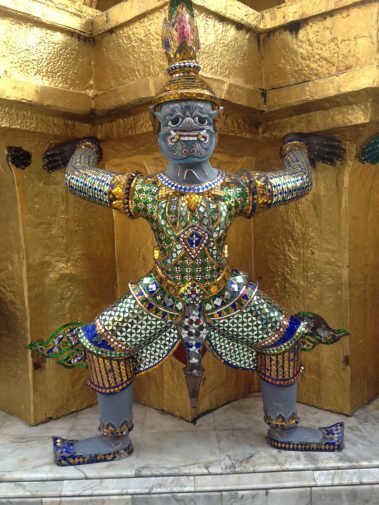 One of the demon guards at Grand Palace, Thailand. 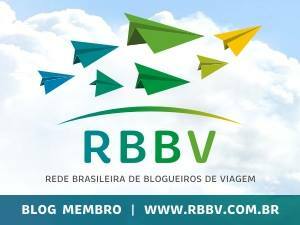 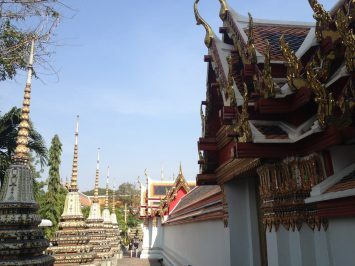 Attention to the dress code to visit the complex: Men have to wear pants and no tank tops are allowed. 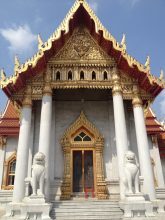 Women have to cover knees and shoulders. 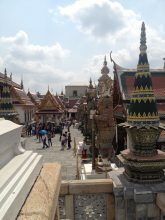 Wat Pho (The Reclined Buddha): is located behind the Temple of the Emerald Buddha, a quick walk, and a must-do for any first-time visitor in Bangkok. 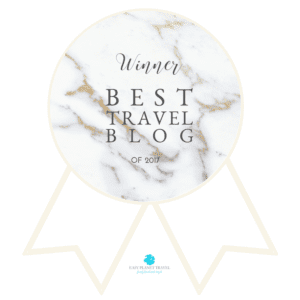 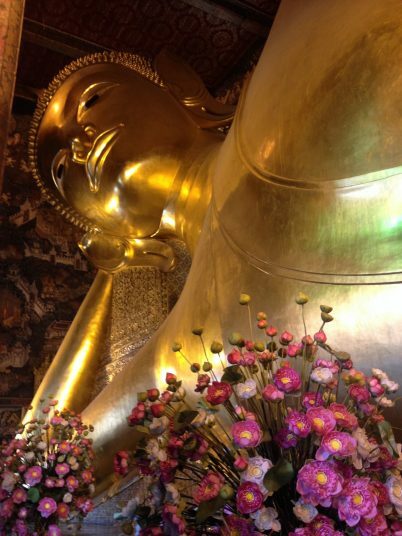 WaT Pho is often considered the leading school of massage in Thailand. 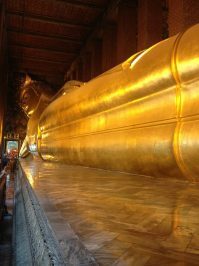 The reclined buddha, Bangkok, Thailand. 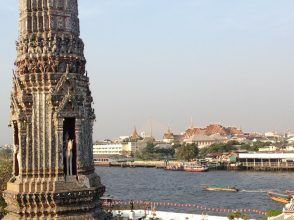 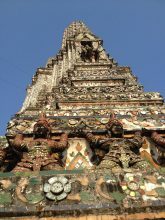 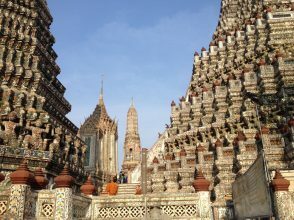 Wat Arun: is situated on the west (Thonburi) bank of the Chao Phraya River, we you can easily take a boat to cross the river after visiting The Gran Palace and the Recline Buddha. 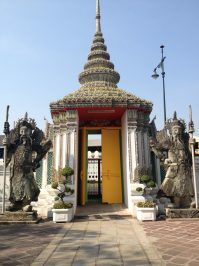 This temple is one of the most famous and beautiful landmarks of Thailand. 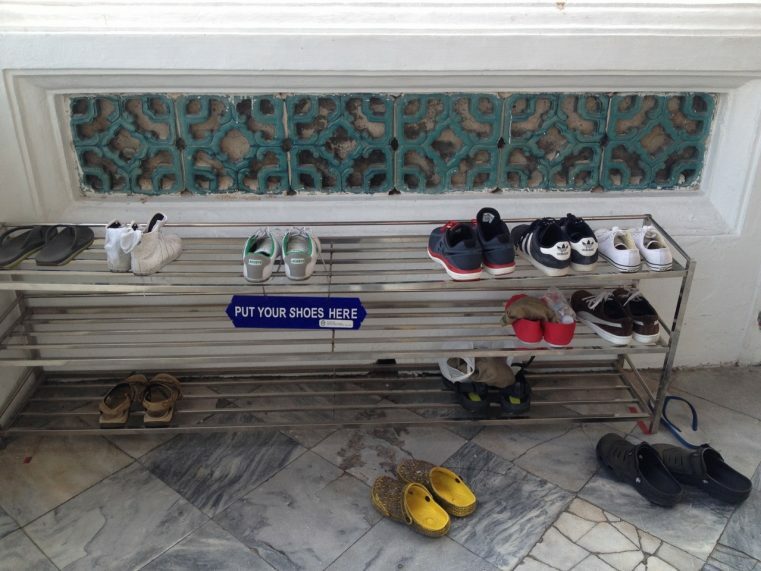 Always take your shoes off when visiting a buddhist temple. 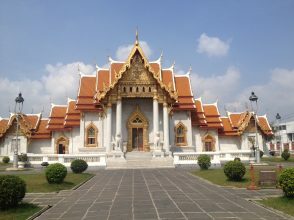 Wat Benchamabophit (The Marble Temple): another stunning Buddhist temple showcases symmetric and handcrafted Thai architecture. 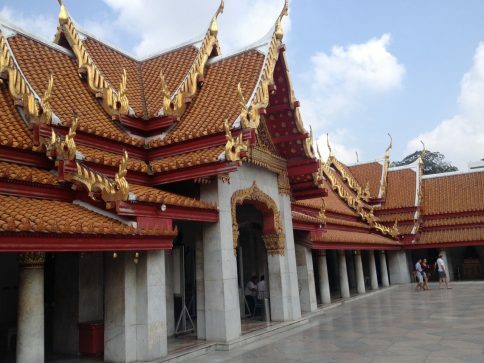 Beautiful Thai architecture at The marble temple, Bangkok, Thailand. 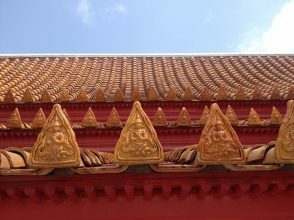 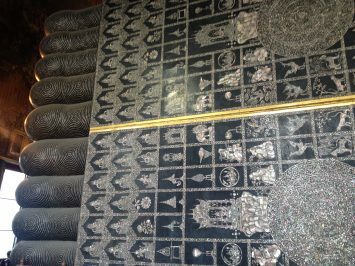 Detail of the tiles, Marble Temple, Bangkok, Thailand. 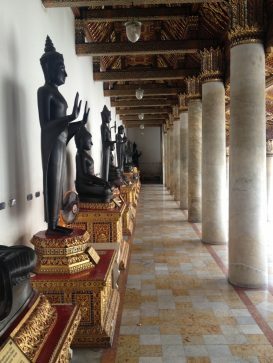 Just some of the Buddhas. 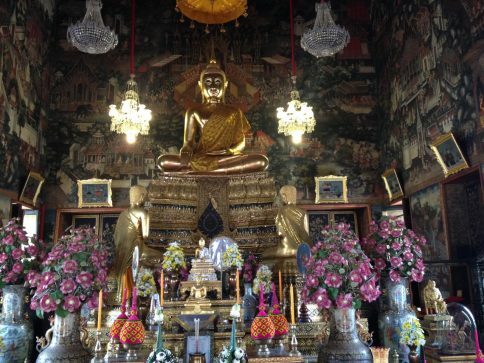 Before you plan your first trip to Thailand, here are some things to know before visiting Thailand. 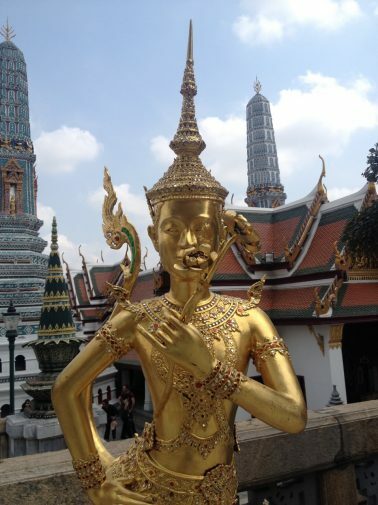 Safe travels and have fun in Bangkok.